I recently experienced an ‘intervention’ of sorts and would like to share it with you as an example of how it works. Dr. Peter Boghossian, author of A Manual for Creating Atheists and a primary mentor for street epistemologists, tweeted about an article I wrote a couple of weeks ago. Boghossian’s tweet led hundreds of atheists and street epistemologists to my article and many of them participated in an ‘intervention’ for me. First, let’s look at the published techniques for a ‘faith intervention,’ then see how street epistemologists used those techniques in communicating with me. Manifest Empathy: Get an understanding of where he’s coming from and how feels. Tell him you know he wants to be decent person, as everybody else, you included. Establish a Rapport: Empathy is what you feel. Rapport is when he feels it back. He starts to trust you. “This article seems to miss the point that street epistemology isn’t about debating, arguments, or facts. It is simply trying to get to the root of what originally caused the individual believer to believe. If it really was evidence that led them there or if there was some faith involved, and to get the believer themselves after they go away and think about it, to realise that having faith that something is true does not make it so, and that faith can be an unreliable way to come to the truth. “1. It’s actually ‘disabuse themselves of their faith’ and not ‘disabuse their faith’. 2. How are the SE questions ‘unreasonable’? That’s kind of the point of critical thinking, to explain how you come to conclusions, not just spew ‘because I (or my minister) say so’ dogma! 3. Yes, “atheists don’t believe there is a reliable method to believe in God” because they have concluded through reason and evidence that such a proposition is untenable. So they’re not going to offer answers in this regard. One would think that a theist should easily be able to explain just what method they used but not one has so far in the videos I have seen. 4. As for “swarming” with “unreasonable questions” (there they are again! ), and unwillingness to engage in a true “conversation”, it seems to me that the SE person is usually quite willing to listen & respond to most of his interlocutor’s comments, even waiting patiently for the person to find thoughts that are often emerging after being coaxed out for the the first time. If asking someone to use the same reasoning about their god belief that they would use to assess other processes, conditions & situations in life is “unreasonable” then please tell me what is “reasonable”. “Street epistemology is about teaching someone to figure out how they believe ANYTHING, not just in god. The same critical thinking skills can be applied to anything; politics, biology, economics, and god. The point of Street epistemology is to get a person to question how they come to know things. If you read up on the Socratic method, or Socratic pedagogy, you’ll see the same skills can be applied to figuring out. The fact of the matter is that most Christians have never really inspected their beliefs, but instead take much of what they believe for granted, never having really, REALLY thought through the claims made by their spiritual leaders. This makes the discussion of faith-based beliefs fertile ground for teaching the method to someone, with a topic they THINK they understand, but very often have only a cursory understanding of. If you believe in God, and in the tenets of your specific faith/religion, then it should be easy to inspect the basis for those beliefs. In a country that’s 78% Christian (http://religions.pewforum.org/reports), the discussion of faith in the Christian God just happens to be a statistically consistent topic for discussion that a Street Epistemologist can strike up with almost anyone on the street. The impact of this can’t be minimized. Poor thinking skills affect a person’s ability to make their way through life. It affects the way you vote, the way you process what your doctor tells you, the manner in which you complete your work, and the methods you use to raise your children. If your worldview is flawed, and your thinking skills are incomplete/ineffective, then you aren’t living the life you could be. A discussion of faith between a believer and a Street Epistemologist doesn’t have to be an argument. In fact, most of the SEs I know don’t take a confrontational approach to their conversations with others. They are respectful, courteous, and always willing to listen. After all, the goal of SE is to find truth, wherever it may reveal itself. This benefits both participants. A person has nothing to lose in a conversation with an SE, and possibly may learn new ways of thinking that lead to actual knowledge, not just uncritical acceptance of information handed down from others. These were some of the first comments to reach my article. What do you see here? What about method and technique? Based on what street epistemology trainers are trying to do in preparing thousands of street epistemologists to talk theists ‘out of their faith,’ how do you think they did? How would you respond to similar comments about what you believe about God and Christianity? We’ll look even deeper next time in Street Epistemologists – On Guard. Well, the one thing that interested me, was that not one piece of evidence (for or against the existence of God) was mentioned. Also, the false definition of “faith” as believing something with no evidence or even against the evidence was implied a few times. Instead, every time you read a scientific article and _believe_ the results that it reported is true, without actually repeating the research experiment yourself to test it, you show your _faith_ in the authors, _believing_ that their report is true. Hi, Chavoux. 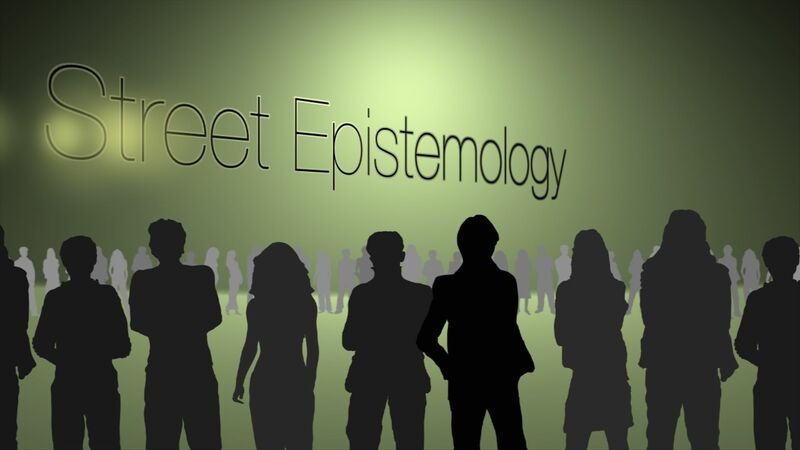 This particular article is a continuation of a series looking at street epistemology and epistemologists. Comments and replies to the first article in the series addressed more evidence for and against the existence of God. https://faithandselfdefense.com/2015/01/18/breaking-down-street-epistemology/ Thanks!